A former Midamar operations manager pleaded guilty to making and delivering false USDA marks of inspection of shipments of Halal beef in federal court Monday. Philip G. Payne, 50, of Ryan, pleaded guilty to misdemeanor conspiracy to make and deliver false certificates and writings. He faces a year in federal prison. According to the criminal information, Payne and others at Midamar and Islamic Services of America, created the false certificates and writings in order to give the false impression that shipments of beef complied with import requirements of Malaysia and Indonesia where the beef was shipped and also complied with U.S. export requirements. Corporate officers of both companies, Jalel Aossey, 40, and brother Yahya Nasser Aossey, 44, both of Cedar Rapids pleaded not guilty to 92 federal charges last month, involving mislabeling of Halal beef products and falsifying documents. Jalel and Yahya Aossey’s trial is set Feb. 17. Both men were released on pretrial supervision pending trial. William Aossey, 73, founder of Midamar and father of Jalel and Yahya, was charged with 19 similar counts in October. His trial is March 9. The other two felony charges filed in the criminal information against Payne – conspiracy to defraud the United States and conspiracy to commit mail and wire fraud – could be deferred according to a pretrial diversion agreement. Assistant U.S. Attorney Richard Murphy said he would file a motion asking the court to authorize the diversion agreement. U.S. Magistrate Jon Scoles said the agreement would go to U.S. District Chief Judge Linda Reade for acceptance. Payne pleaded not guilty to the two pending charges. Payne during the hearing admitted to removing and authorizing the removal of USDA marks of inspection from meat products and replaced them with marks of inspection from facilities other than where the meat was slaughtered. This was done at the direction and with the knowledge and approval of Midamar’s owners and managers. According to a U.S. Attorney’s Office news release, false USDA export documents, health certificates, and Halal export certificates were generated for at least 22 shipments of beef during the same period. These and other actions were taken with the intent to make the beef eligible for import into countries that would otherwise not have accepted the beef shipments. 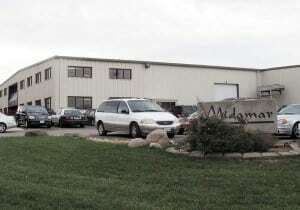 Payne, the former Operations Manager for Midamar also admitted that as demand for Halal beef supplied by Midamar grew, Midamar supplemented its sales of purported Halal beef with kosher beef slaughtered by rabbis, without any participation or oversight by a Muslim slaughterman.